Just days away from SDCC 2018, collectors will be able to get the must sort after “SFBI ORIGINALS” soft vinyl line! a godsend to collectors in the West as we’ve seen various releases in Asia and collectors in the West not getting the chance to own the line. 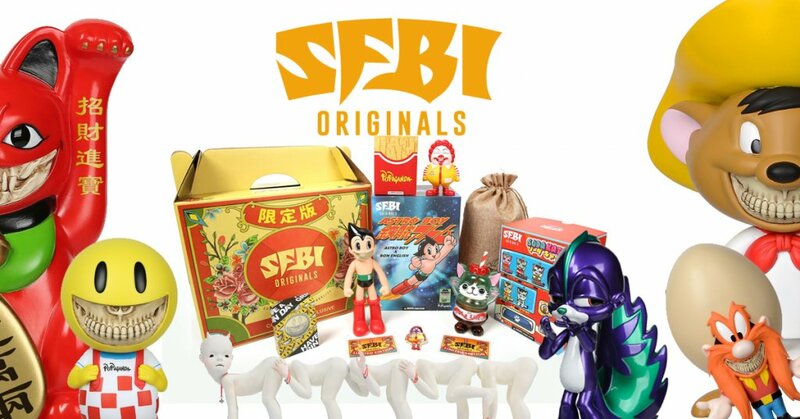 Pop Life’s SFBI ORIGINALS are inspired by vintage Japanese sofubi toys will be showcased and for you to finally own which includes SAN DIEGO EVENT BOX which has a Special SDCC Price! WOW, talk about a starter pack. You’ll be able to cop some CONVENTION EXCLUSIVE’s too as well as single SFBI ORIGINALS from various artists from the series. Below is a few examples, WARNING…….bless your bank account. 300 Boxes Limited Release. One Per Person. Highly Collectible. Hard to Find. Limited Edition.